Researchers said such extra testing may be a waste of time and money if it doesn’t lead to improvements in patients’ health. The findings are “very unsurprising,” according to Dr. Michael Johansen of The Ohio State University in Columbus, who has studied cholesterol management. For their study, researchers led by Dr. Salim Virani of the Michael E. DeBakey Veterans Affairs Medical Center in Houston tracked over 35,000 people with heart disease. All of them had their LDL (“bad”) cholesterol under control and hadn’t recently started on any new cholesterol drugs. Over the 11 months after patients’ most recent cholesterol test, one in three underwent a repeat test. Very few of those patients - about six percent - had any changes made to their treatment regimen as a result of the second test. “I think a lot of it is because of the habit of (ordering) labs on patients… without really thinking about, ‘What am I going to do with this information with someone who is at target for cholesterol?’” Virani said. “The guidelines say so, so people do it, but there’s not really anything you’re going to do with those numbers,” Johansen, who wasn’t involved in the new research, told Reuters Health. 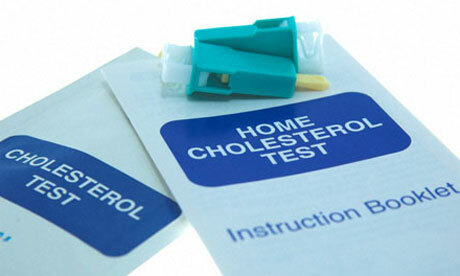 The average cost of a cholesterol test is about $16, the researchers wrote Monday in JAMA Internal Medicine. That works out to almost $204,000 in early tests in their study population - not including the cost of both patients’ and doctors’ time. “Every test you have to go to the lab, get it done, and then it takes a provider’s time to follow up on the lab, even if it is normal,” Virani told Reuters Health. Rather than focusing on annual cholesterol testing, Johansen said putting patients with heart disease on a statin and making sure they’re taking it might be a better use of time. “As a patient, if I benefit from a statin I would try to remember to take my statin every day, and know that that’s pretty much the most important thing you can do… outside of diet and exercise,” he said.